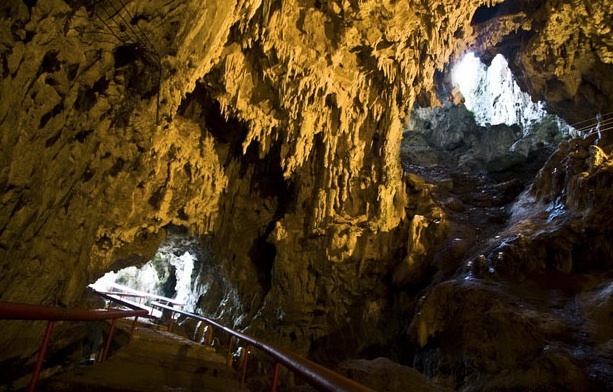 This ecotourism park, is located in Los Altos de Chiapas Region, in the town of San Cristobal de las Casas, located 12 kilometers from the city with the same name, access is by the Pan American Highway that leads to number 190 Comitan. 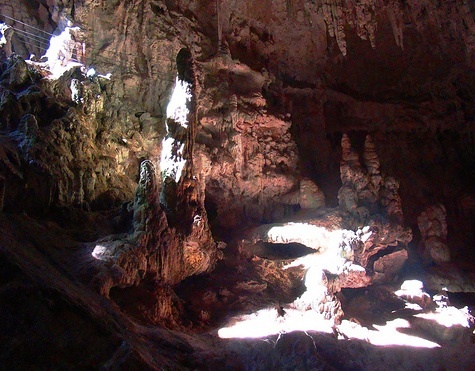 Don Vicente Kramsky discovered in 1947 The hollow mountains , appear suddenly in the middle of a lot of cypress and pine trees, now a protected area. 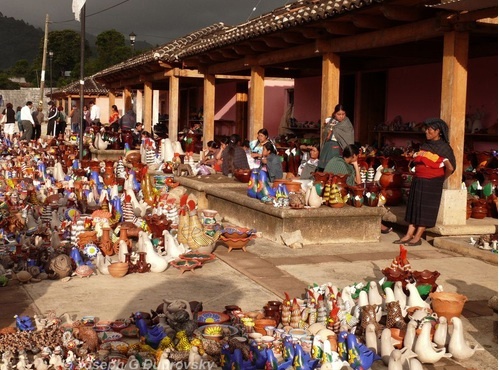 Amatenango del Valle, called in the Tzo’ontajal language “The town of women clay workers,” is located on a small mound dominating a fertile valley covered with corn crops 37 Km (23 miles) from San Cristobal de Las Casas along the federal road 190 to Comitan. 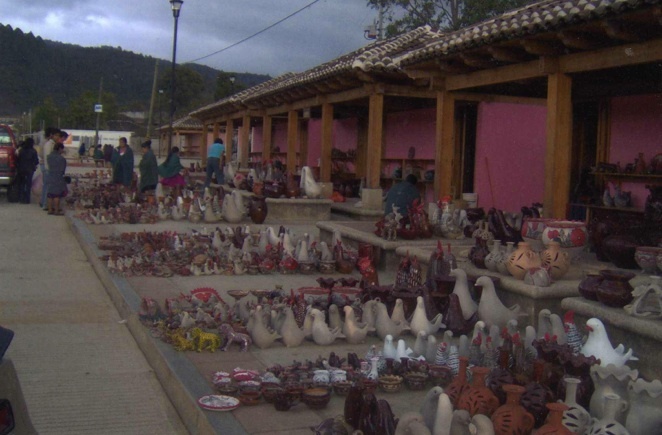 It is a beautiful Tzeltal town located over an elevation with a fertile valley covered with crops, where the use of pre-Hispanic pottery techniques prevails. 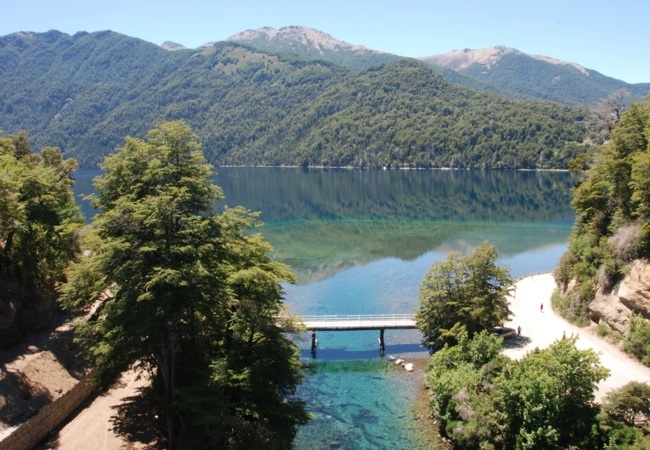 The town has a population of about 6600 people and it is located 1810 meters above sea level. The name of Amatenango del Valle means in Nahuatl “fortified place of fig trees,” due to the numerous wars, the towns used to be fortified. As a consequence of this, the word Tenango, meaning wall place, changed its meaning to town or place. 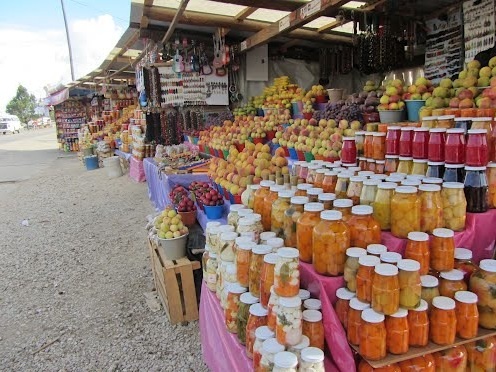 The Tzeltales group established in the town during the pre-Columbine times and in 1486 it was invaded by Aztec troops. After the conquest of Chiapas in 1528 it was supposed to be part of Teopisca but at the end of the XVI Century it was named as we know it now. The colonial church dominates the traditional village and orchards of this indigenous Tzetzal community, renowned for the clay pieces, which they model by hand, and fire with wood in an open pit. This shows a strongly influence of pre-Hispanic techniques. 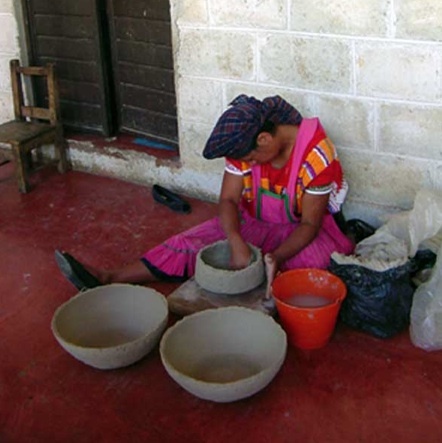 The use of pre-Hispanic methods in the manufacture of pottery is the most important thing in Amatenango del Valle. The clay pieces are modeled by hand, and fired over wood in an open pit. This shows a strongly influence of pre-Hispanic techniques. 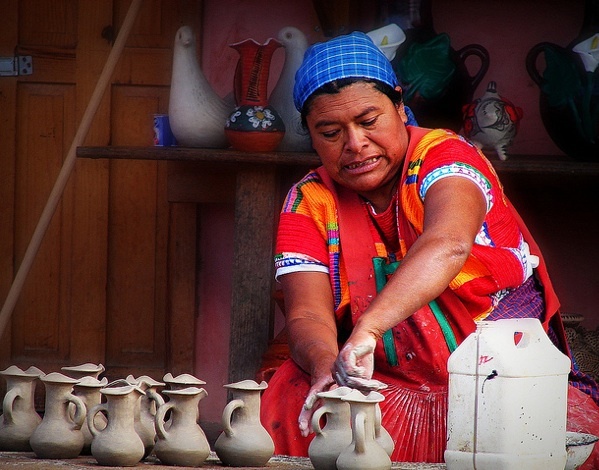 Pots, jars, planters and zoomorphic figures are the main products of this ancient tradition, utilizing the art of mixing water and clay, shaping, drying and firing and in the primordial act of creation in Mayan cosmological vision. Also, the manufacturing of the traditional white dress called huipil with red and yellow embroidery. During a visit to Amatenango del Valle one has the opportunity to see the native women using their huipil. 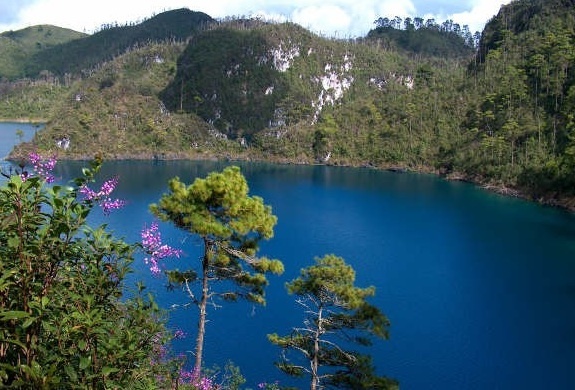 Lagunas de Montebello, or Montebello Lakes, (Spanish: Parque Nacional Lagunas de Montebello) is a national park in the Mexican state of Chiapas close to the border with Guatemala, comprising 59 multi-colored lakes in a pine forest and two Mayan ruins. 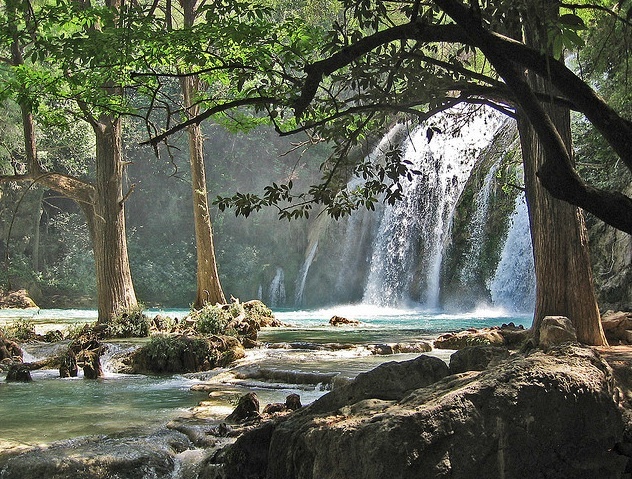 It was the first national park in Chiapas when created in 1959, and in 2009 the park was designated a Biosphere Reserve by UNESCO. 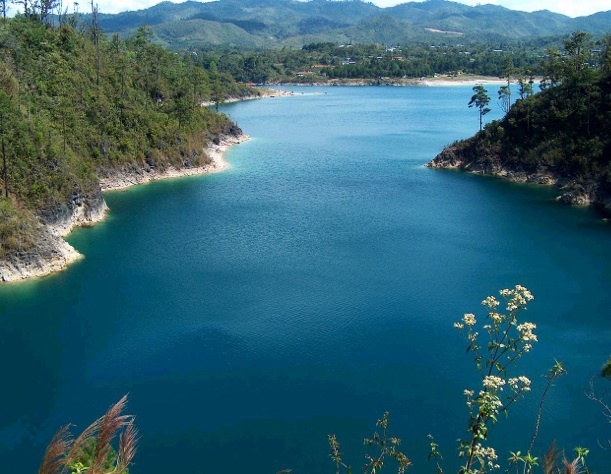 The Lagunas de Montebello National Park is in the municipalities of La Trinitaria and La Independencia in southeastern Chiapas state, close to Guatemala. 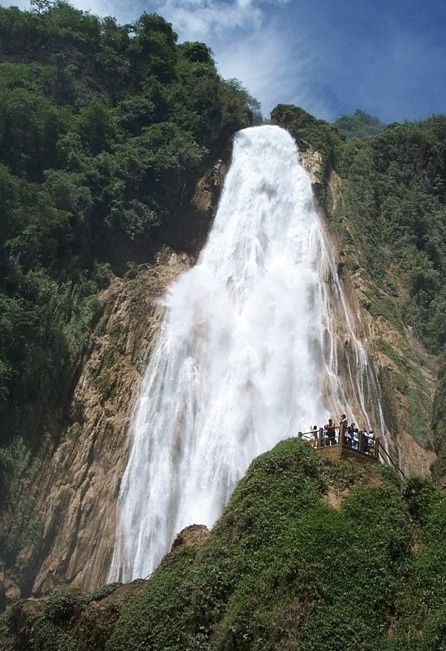 The nearest city is Comitán, an hour’s drive to the west; the popular tourist city of San Cristóbal de las Casas is a further two more hours to the west. 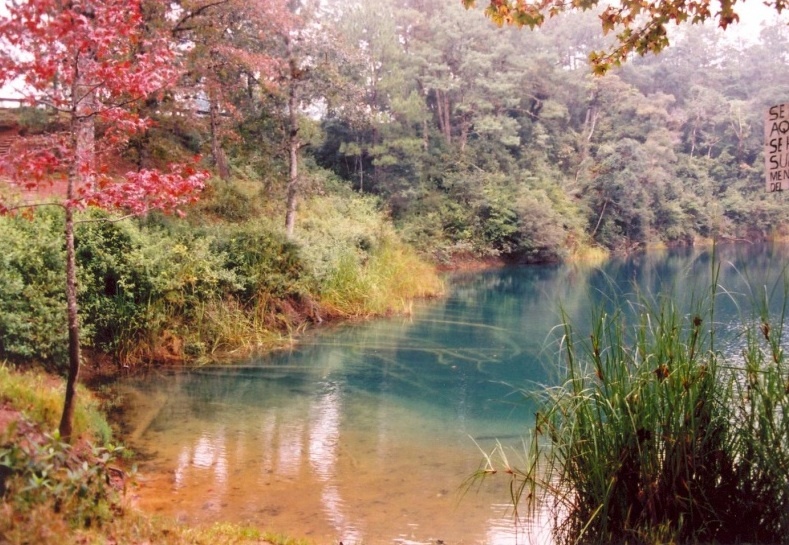 The Lagunas de Montebello National Park covers an area of 6,411 hectares (15,840 acres), of which 3,412 hectares (8,430 acres) are considered the “core area”. 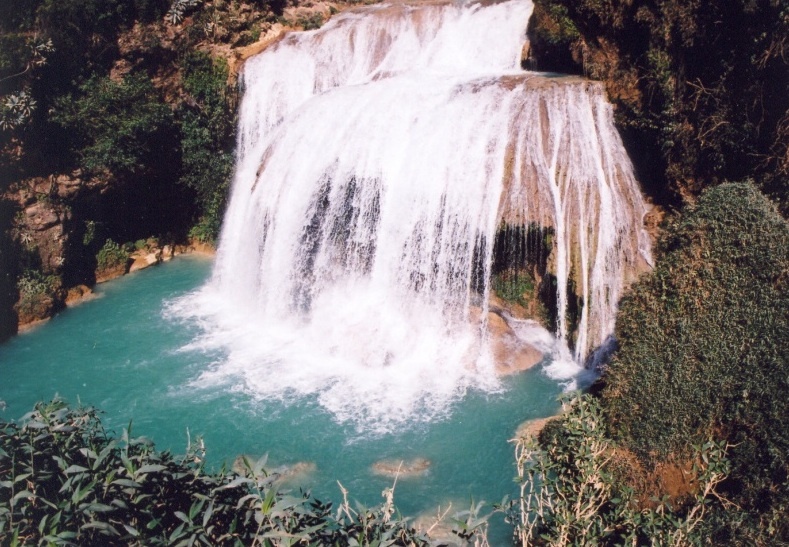 It is located on the high plains of Chiapas, with an altitude between 1,500 and 1,800 metres (4,900 and 5,900 ft) above sea level.